The best way to get to know a community is by scheduling a tour. See the facilities, meet the staff and residents, and get a feel first hand what it's like to live at HarborChase of Venice Assisted Living. A beautiful community setting where first-class healthcare services are provided by highly trained staff is the best way to describe HarborChase of Venice. 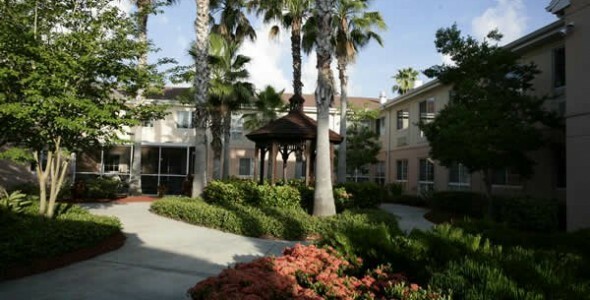 Our community is designed to have all the amenities and services seniors need so they may live worry-free lives. This is especially appreciated by families who want to see their loved one enjoying all the pleasures that life still has to offer. A unique approach to assisted living that is guided by the core values of Respect, Attentiveness, Integrity, Stewardship and Excellence is what sets HarborChase of Venice and the communities managed by Harbor Retirement Associates apart from others. Every day we strive to celebrate the seniors who proudly call our communities home. Spacious apartments, a spa, hobby rooms and an elegant dining room are just a few of the amenities that our residents boast about when describing their new home to friends. Families also appreciate that HarborChase of Venice has a state-of-the-art wellness center so their loved one can access healthcare services when needed. Yet the services that families are grateful for are the supportive services which support their loved one's independence. Our compassionate, highly trained caregivers provide assistance with activities of daily living and medication management. And when skilled nursing care is needed, we can provide this care too. HarborChase of Venice: where compassionate care and respect are delivered every day.